Kenyan coffee will never fail to excite the taste buds and this beautiful new crop from the heart of the Kenyan jungle microclimate is certainly no exception. Combining the best of the African taste profile, a strong aroma of blackcurrant is present when the beans have just been roasted. Once brewed, a sweet cinder toffee and nutmeg spice can be subtly picked up. Kenya Blue Mountain is the name given to the region that is known for outstanding coffee crops year after year. The Jungle estate is in the heart of this illustrious place – whether or not there really is a Blue Mountain is a mystery! The first crop from Jungle Estate was in the 1920’s when the dense, indigenous bush was established as a plantation. Read on to find out more about the history, facts, Kenyan coffee tasting notes and more. Around 70% of all this country’s coffee is produced by small-scale farmers. 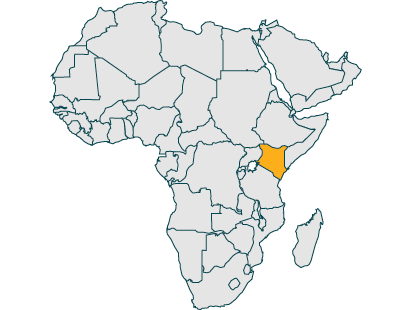 Considering its proximity to Ethiopia, where coffee originated, it is surprising that it was not cultivated in Kenya until 1893. It was apparently introduced by Roman Catholic Fathers who grew the plants at St Austin’s near Nairobi. Coffee is now the country’s fourth biggest export earner after tourism, tea and horticulture. The temperatures which coffee experiences in Kenya are 15°— 30°C, which is perfect for growing high quality beans. Another factor which makes these beans such a high quality is the rainfall of 1000 — 2000 mm each year, which is exactly what it needs. Most of the growing regions in Kenya have rich volcanic soil with a great pH for the beans. The major growing regions are Mt. Kenya, the Aberdare Range, Kisii, Nyanza, Bungoma, Nakuru, Kericho and Samburu, where our beans are grown. When processing, only the ripest red cherries are selected, with unripe, overripe or diseased cherries removed. They are then pulped to remove their outer skin. Fermentation then takes place, which should take around 36 hours. The beans are then laid out in the sun and regularly turned to maintain their bluish tint, which Kenya coffee is famous for. This country’s coffee is unique, as it is very well balanced at the same time as being also very complex. It is powerful, with a distinct wine tone and juicy notes of blackcurrant. When brewing you might notice a delicate floral aroma. Enjoy black or with a splash or milk, whichever you prefer. We only roast in small batches under a flame (the best way) so whether it’s 6kg or 227g it will always be delivered fresh! My current favourite for the aeropress. I’ve just ordered my second batch and I’m sure I’ll keep ordering as long as this is available. The description mentions nutmeg which almost put me off, personally I don’t get that but I totally get the great toffee tones in this brew. Highly recommended. We tried a lot of sample packs including Jamaican Blue Mountain, which I think is over rated, we did a back to back taste test, and I consider the Kenya Blue Mountain to have a better flavour, I would urge any one looking for a really good coffee, to try the Kenya Blue Mountain, you won’t be disappointed, We’re now on our 3rd kilo and really love it and will continue to buy this amazing coffee, from Adams & Russell because the service you get is really good, if you spend over £30 you can get free next day delivery if you order in the morning, such good service couldn’t be bettered. This coffee is delicious: smooth and very easy on the palate. It’s a lovely morning coffee, though I like something with a bit more ‘bite’ later in the day! I would certainly buy this again. I’ve also found that the more I drink, the more I like it! I’ve possibly been more used to fiercer brews, but this is a grower! I bought this from somewhere on our travels with the caravan. It is by far the best coffee I have ever tasted and much better than Jamaica Blue Mountain. 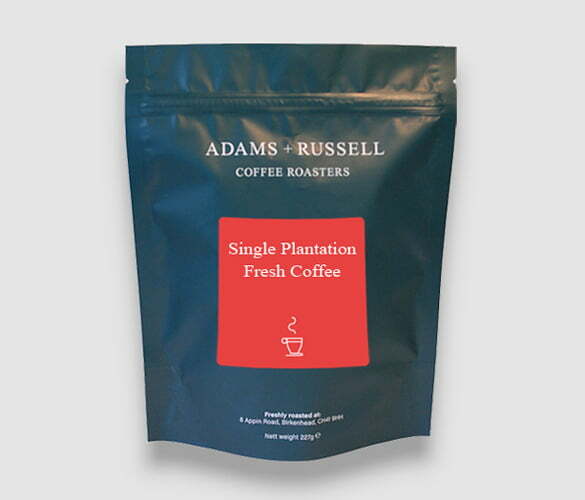 Coming to the end of the beans I have happily found Adams & Russell on line. What great reviews they have. I will be ordering more of this and taking advantage of their 3 for £21 to try others.